The fandom that surrounds Game of Thrones is one of the most fervent in television. Hours upon hours have been devoted to fan theories, with any number of explanations and extrapolations made from both George RR Martin's novels and the TV series itself. There's R+L=J, Tyrion Lannister is actually a Targarayen, the voices in the Mad King's head was actually Bran trying to communicate with him - on and on it goes. However, one theory - well, you couldn't even call it a theory - that's managed to hang tough for many years is CleganeBowl. In simple terms, CleganeBowl is the eventual fight between Sandor Clegane and Gregor Clegane which will determine the outcome of the entire series. Imagine Muhammad Ali versus Mike Tyson, both at the top of their game. Now multiply that hype by one hundred. 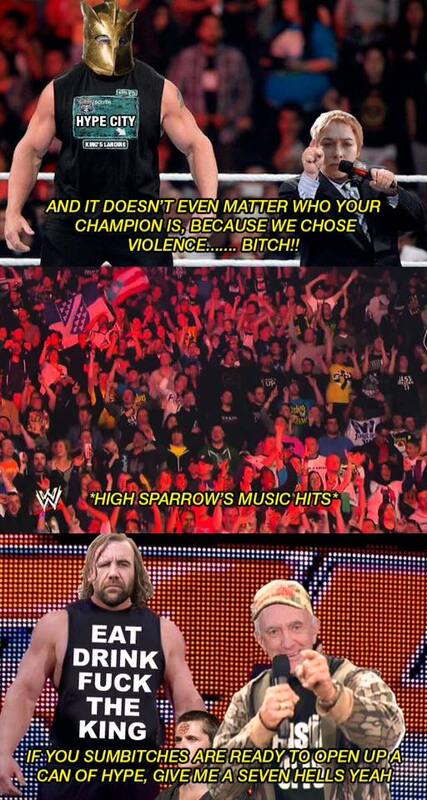 That's CleganeBowl in a nutshell. A lot of its popularity is down to a subreddit, aptly titled CleganeBowl, that's fuelled this hype for many years. The final fight in Season 5 between Brienne of Tarth and Sandor Clegane should have put the nail in the coffin for CleganeBowl, but last week's episode was like a wave of euphoria throughout the Internet. Fans were now more certain than ever that the meeting of the two Cleganes was certain to happen. When scrolling through r/Cleganebowl, it's hard not to get caught up in the hype. In fact, 'hype' is the word that keeps cropping up again and again throughout the place. In a weird way, the hype for the fight has outweighed the actual outcome. Nobody's really sure if they even want to see the two fight because that will effectively end the anticipation for it. That's what CleganeBowl is, when you boil it down to the base elements - anticipation. As we saw from the final shot in last week's episode, Sandor Clegane's picked up his axe and is headed out into Westeros to seek revenge. As Ian McShane's brilliantly realised character pointed out, the gods aren't done with Sandor Clegane just yet. So it goes that there's still life and still hope for CleganeBowl yet.